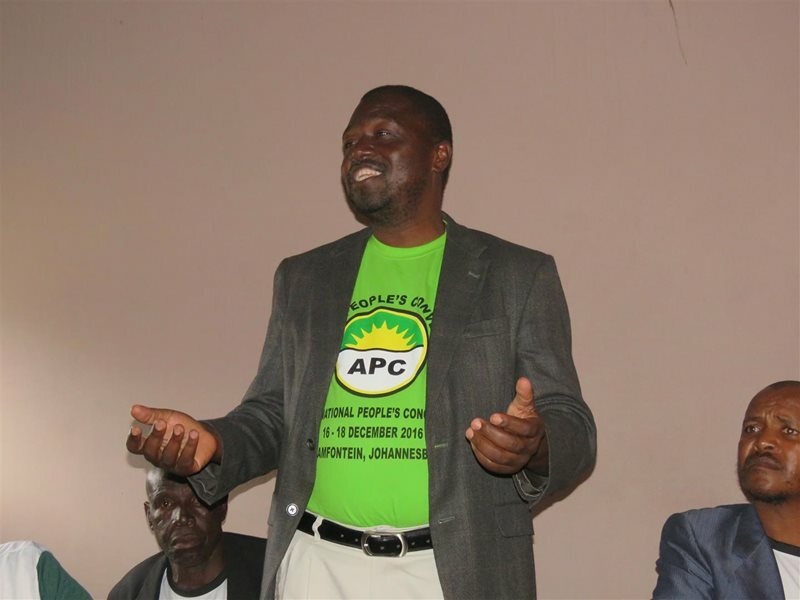 GEORGE NEWS - The president of the African People's Convention (APC), Themba Godi, visited Thembalethu this morning to campaign for the upcoming general election. Godi, who has been the chairperson of the Standing Committee on Public Accounts (Scopa) in Parliament for 14 years, said South Africa does have money, however, corruption and mismanagement of funds are factors hindering development. Godi was in Zone 9, Thembalethu, where he addressed APC members and supporters. He encouraged people to vote for his party whose promises include, among others, clean government and job creation. “South Africa is the most unequal country in the world. Money is only in the hands of a few and those who continue to suffer are black people. Make sure you vote for APC, for us to change this inequality,” said Godi.